2008 EA9 is a Near-Earth Asteroid. Its diameter is 10 meters and its mass is 1200 tons. The geometry and the texture of this addon are entirely fictional. The interesting feature is that you can dock your spacecraft on this rock. In deed, there is 6 docking ports, allowing to simulate an anchoring. 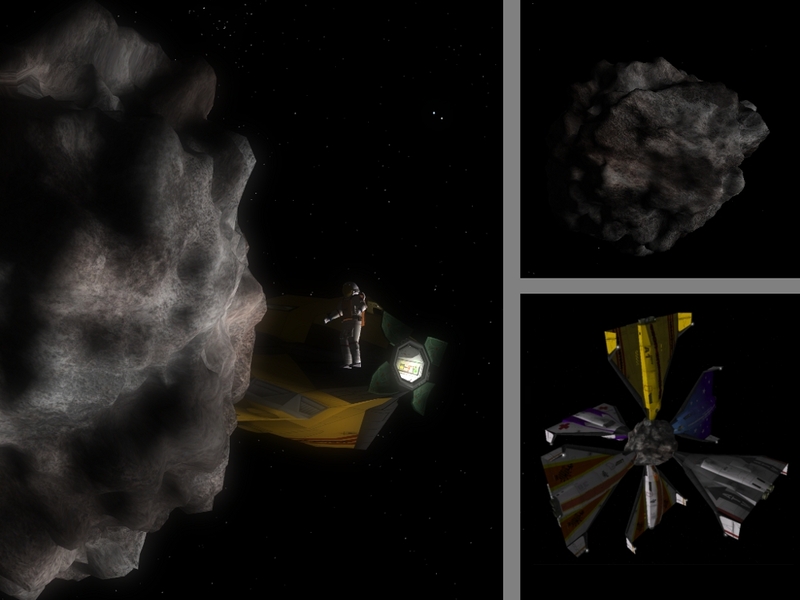 Once you are anchored, you can make experiments on how to move an asteroid. For example, take the Arrow Freighter and try to bring back this asteroid in earth orbit. This is a real challenge but this is possible (I tried succesfully).